Today we are going to discuss the most popular, 4 Vector Format Files and learn where and how to open them. 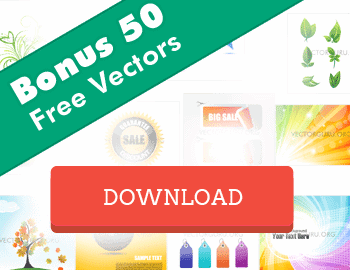 We shall talk about the right applications to open and edit these 4 Vector format files so that you can make the most of these Vectors in your designs. Vector formats are widely used in Graphic and Web Design and are more design friendly. Meaning, they can be resized and edited extensively to suit varied design requirements. If you open your Vector files in a Raster editing application you may not be able to get the entire benefit that Vector format files offer. So, if you need to make the most of the Vector file by editing and modifying its contents you’ll have to open it in appropriate applications. Each of the formats discussed today have specific applications that suit these formats the most and are perfect to edit and modify these Vectors. We are going to open these files in Adobe Illustrator, CorelDRAW and Inkscape which is a free vector application. These 4 Vector Format Files are most popular formats and you’ll find most Vector artwork available in these formats. We shall discuss each of these formats at length and explore the right applications and techniques to open them. You will find most of the Vector Files available online in this format. Renowned Stock agencies too, offer Vector files in an EPS format. EPS is a compound format which can actually hold bitmap as well as pure Vector shapes. But over the years this format has become a preferred format for Vector. It’s one of the most compatible formats that can be opened in popular Vector applications like Adobe Illustrator and CorelDRAW, where your Vector file can be edited too. Other Applications where you can open EPS files are Adobe Acrobat Reader and GSView. Though these applications are used to view Vector files and not edit them. The most appropriate application to open and edit EPS files is Adobe Illustrator. Let us look at the steps to open an EPS in Illustrator. Another way to do this – Select the EPS File > Right click > Open with > Choose Adobe Illustrator. Though you Illustrator is the recommended format for editing EPS vectors, you may want to do this in CorelDRAW if you do not have Illustrator. Steps to open EPS in CorelDRAW. In the Import dialog choose between Import as ‘Text’ or ‘Curves’. You may choose ‘Text’ if the EPS contains text and if you would want to edit it. The imported EPS can now be ungrouped and edited as required. Note: Importing EPS in CorelDRAW does not import as a editable Vector format. Choose from Curves or Text if you want to edit and modify the EPS graphics. Adobe Illustrator is a widely used Vector Creation and editing application used by designers worldwide. Hence, its native format AI is the second most preferred Vector Format after EPS. Since AI vector format is native to Illustrator, it’s most compatible with Illustrator, which is also the recommended software to open and edit AI files. Let’s see how to open AI files in Illustrator. You can also open AI files directly by double clicking on them. This way Illustrator identifies the format and opens them directly. Unfortunately for not all AI files can be imported or opened in CorelDRAW. That said, CorelDRAW X5 opens AI files saved in up to Adobe Illustrator CS5. Click Open in the PDF import settings dialog. Though Inkscape opens the AI file through the PDF import settings dialog, the file is still in Adobe Illustrator format within Inkscape and the graphics can be edited completely. You may also directly open the CDR file in CorelDRAW by double clicking it. Note: The text should be converted to curves in CorelDRAW to open in Inkscape, as CDR opens in Inkscape with the text missing. For this reason opening CDR files in Inkscape is not recommended. CorelDRAW files do not open in Illustrator. A PDF file too, like the EPS is a compound format which may hold Raster as well as Vector graphics within them. Though Vectors saved in a PDF format can be opened in most Vector applications, such as Illustrator, CorelDRAW and Inkscape (from the opensource). Let’s see how to open this format in these applications. Click OK in the Open PDF dialog. Note: Illustrator opens single pages of a multipage PDF. You may choose the page number in the Open PDF dialog. If you have versions older than CorelDRAW X5 you may have trouble opening the PDF. Save the PDF in an older version so that you can use it in older versions of CorelDRAW too. Inkscape too does not open all pages of a Multipage PDF. You may choose the page number of your choice in the PDF Import Settings dialog. I hope you find these solutions to opening Vector format files helpful. Please don’t hesitate to share your problems or some solutions that may be helpful for others. Do let us know if you have anything about Vectors that troubles you. We would be glad to write about it.